Up until fairly recently, most dentists relied on procedures such as root canals, bridges and the use of dentures as the best methods of fixing lost or broken teeth. While these methods have always been effective in some cases, for many people they did not provide a viable, long-term solution. Root canals( root canal treatment equipment ) and bridges fail over time and dentures have proven to be uncomfortable and cumbersome to wear and use for many people. It is only through the development of methods, tools and technology that a better way to replace damaged or lost teeth has come along. The use of dental crowns and dental implants has become much more commonplace today and provide you with the best option for your teeth. When you are considering a procedure like this, it is important that you know just what an implant is so you know what to expect as a result of the procedure. A dental implant is a device that has been particularly fabricated and manufactured to act like and look like your own teeth. The implant will take the place of a missing or damaged tooth in your mouth. The tooth is often made of a combination of titanium and other materials and is designed to look and feel just like a normal tooth would. The procedures needed to put in a dental implant can take some time. It is a surgical procedure that you can have performed. The procedure involves placing an implant into your upper or lower jaw, wherever the implant is required. A screw is then positioned into the implant area and the gum tissue replaced over the implant to help secure it into place. This first step is then allowed to heal properly before the next step occurs, where a post gets placed so that the artificial tooth (which is the dental crown), can be affixed securely to it in the implant, giving you the tooth you want. Recurrent caries is tooth decay that occurs under an existing filling or other dental work, such as a bridge. It might be caused by poor oral hygiene or by the development of a microscopic pathway for leakage past the restoration (microleakage). Depending on how bad the decay is, treatment will probably involve fillings, inlays, veneers, or crowns. If the decay has reached the inner core of the tooth, you may require root canal treatment to eliminate the bacteria. If the tooth with recurrent caries needs to be extracted, then dental implants, fixed bridgework, or removable dentures are possible options. Thanks for sharing such an informative post about dental implants. Implants provide a strong foundation for fixed or removable replacement teeth. 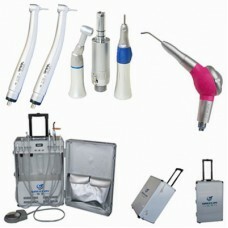 Looking for Dental Care Services Liguanea, visit restoredentja.com .